At Oughton we value the opinions and suggestions made by the pupils and encourage them to be responsible members of our school community. We have a School Council who take on the role of gathering the views of the children and respecting them. Two pupils from each class, Years 1 - 6, are elected by their peers plus Head Girl/Boy and Deputy Head Girl/Boy form the School Council. They meet monthly to discuss ideas with Mrs Carroll who then shares them with the wholes of the Senior Leadership Team. The meetings are run by one of the pupils (the chairperson) and minutes are taken by another pupil (the secretary) and these minutes are then forwarded to Mrs Clayton. School Council also take part in monitoring around the school such as running pupil voice discussions and taking part in learning walks around the school. If you are a pupil at Oughton and have any ideas or suggestions, remember to share them with your School Council representatives. Their photographs are all displayed on the School Council Board in the front foyer. 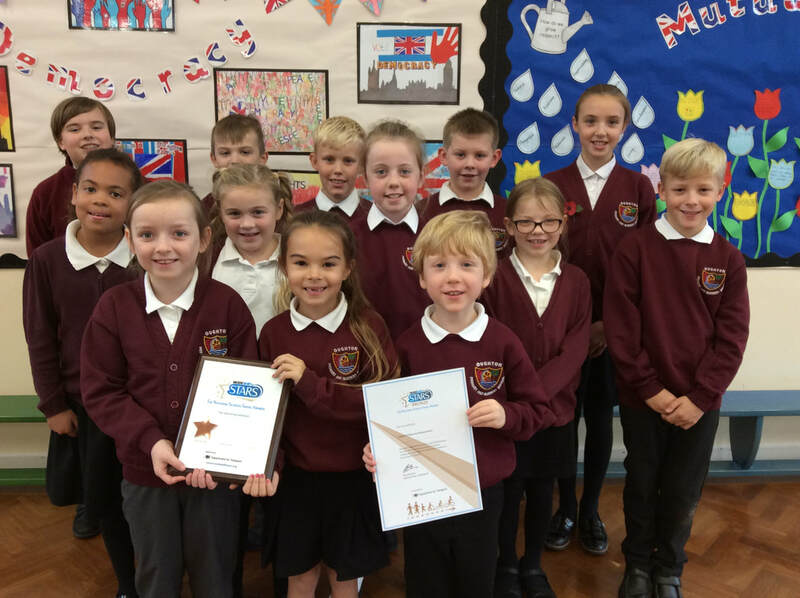 Our school has gained the Bronze Award from Modeshift Stars for promoting active and safer travel. Well done to everyone! This is last year's School Council pictured with the award, and below is our latest Travel Newsletter. 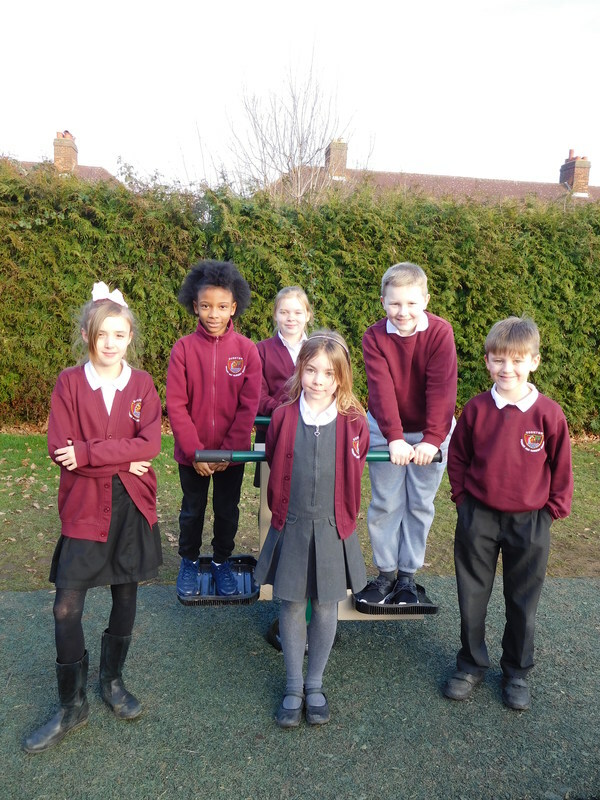 Previous members of the School Council with the gym equipment they requested. The school successfully applied for a grant from the Big Lottery Fund, which purchased the equipment.